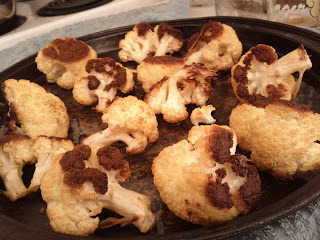 First roast some cauliflower for 50 minutes in a 375 degree oven. Separate the head of cauliflower into its natural large florets, arrange on a baking sheet, drizzle in olive oil and sprinkle with salt. Turn once about halfway through. I love this and make it all the time. You can use this in soups, mash it up, or eat it plain. When there is 10 minutes of time left on the cauliflower, boil some water. In a bowl put 1C cous-cous, 1 heaping tablespoon cilantro pesto and a bit of salt. 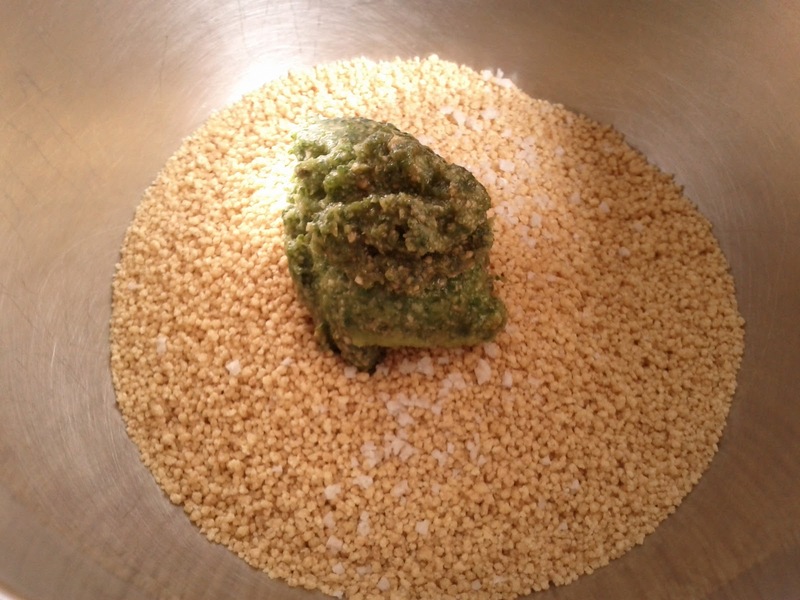 Add 1 1/4C boiling water and cover bowl for 5 minutes. Fluff with a fork and add 1/4C seeded sundried kalamata olives. 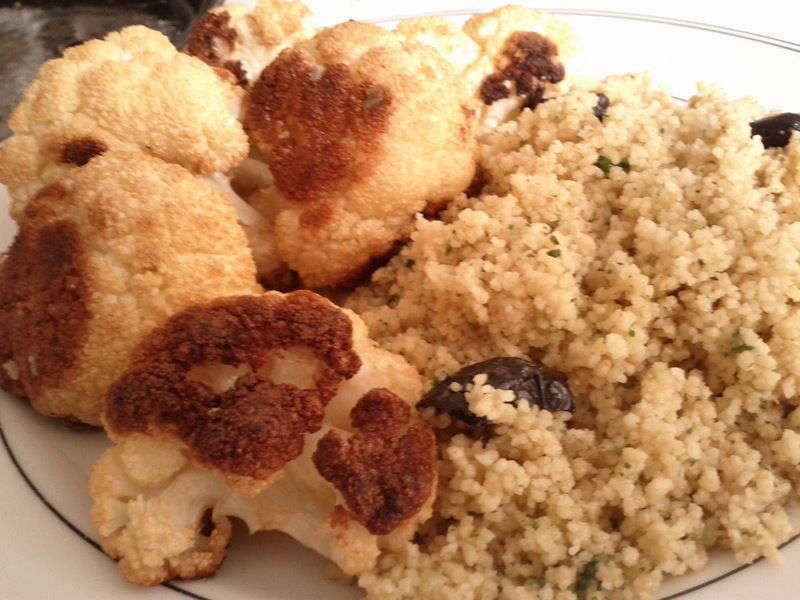 Serve with cauliflour for a, simple, easy, tasty and pretty much monotonic meal.